The secretary’s and treasurer’s reports were read and approved. We agreed to send $100 to Kickapoo and for December’s Adopt-a-Nurse. Woman’s Society funds are low and we decided we need to do a fund-raiser. 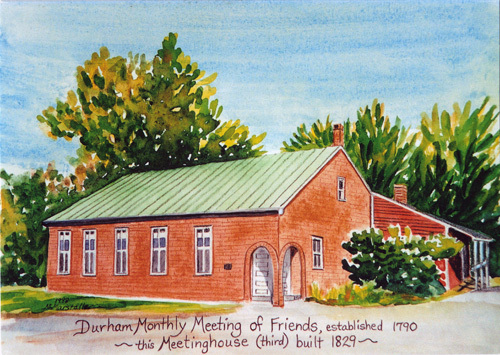 We will have a silent auction at our February Meeting at the Meetinghouse at 6:30 p.m. with the meeting taking place at 7 p.m. 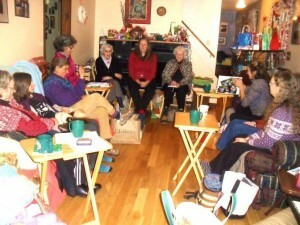 The annual Yard Sale and other fund-raisers were discussed. Kitsie Hildebrandt and Nancy Marstaller said that they would no longer be organizing the Yard Sale and it was agreed that Woman’s Society would not sponsor it this year. We have offered this event to other groups in the Meeting and there has been interest expressed by the Youth Group to take over sponsorship. Woman’s Society members are still available to help with portions of this sale, especially the book sale portion that funds Meetinghouse Library purchases each year. We also discussed sponsoring a spring bean supper or another type of dinner to fund Woman’s Society Projects. The Tedford meal for December did not happen and the January Meal is to be done by Kitsie’s team. The Card Ministry was completed and Daphne Clement graciously offered to fill the vacancy as the organizer of this ministry. Prayers were asked for Zadock Malesi, who is Education Secretary for African Friends United Meeting and has been doing good work educating local schools on a curriculum of non-violence. As this was our annual Christmas Meeting, gift bags were prepared and dispersed and the mitten tree donations were inventoried and packed to be transported to the agency that will do the dispersal. We enjoyed a wonderful gift exchange with Abby Fortune acting as gift elf, and enjoyed refreshments provided by Angie. The next meeting will be on Jan. 20 at 7pm at Sue and Daphne’s home. All are welcome. This entry was posted in Woman's Society News and tagged January 2014. Bookmark the permalink.